The Unitex Uni-Base Board Non-Cavity System or ‘Direct Fix’ Uni-Base Board System is a system that is direct screw fixed to the sarking clad building frame which provides ultimate insulation to external walling (up to R-Value 2.6 for full wall with 75mm BB, but much higher for 100mm upwards). The Unitex Uni-Base Board Non-Cavity System is also BRANZ and BRAC (Building Commission) accredited as an installed system (not as individual products) to ensure ultimate protection and comfort for you and/or your clients. For confirmation that your Unitex Uni-Base Board Non-Cavity System is installed correctly ensure your Unitex Technical Sales Representative is involved from the beginning and you are provided with a signed Unitex warranty for proof of accreditation and conformance. The Unitex Uni-Base Board Non-Cavity System must be installed as per the Unitex full installation manual. 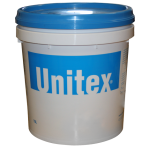 Please further note that Unitex advises that care must be taken to correctly install regular expansion and contraction joints, and have suitable window and door fittings designed for self-drainage. The stipulated (in system) Unitex Render and Applied Finish appearance is desired for pleasing durable textures, and ochre like colours. Any Base Board thickness below 50mm does not conform with Codemark. For your copy of the Building Surveyors Checklist Flipbook, please contact your Unitex Technical Sales Representative or Unitex Marketing. Or view online here. Download the Unitex Uni-Base Board System Installation Manual here. CodeMark, Building Commission and BRANZ accredited.